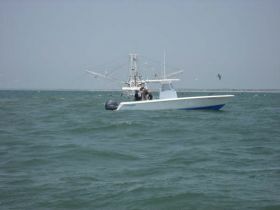 This 30 Contender center console is no lightweight we can be the first to the hot spot where the fish are hiding. 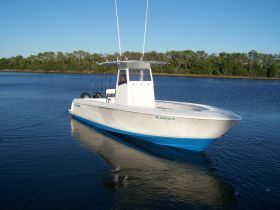 This boat has twin four stroke Yamaha's motors for reliability and is rigged with more safety equipment then required. 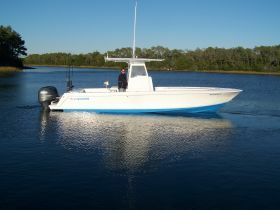 Comfort and speed is a hard combo to put together but this boat comes pretty close.